Flight Systems Industrial Products (FSIP) is excited to announce the debut of their new online store, www.shop.fsip.biz. 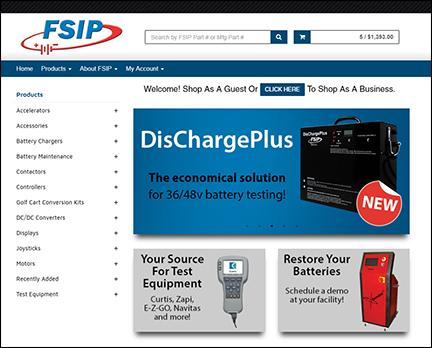 This mobile friendly store is a convenient place for customers to shop online for new and remanufactured controls, battery maintenance products, motors, accessories and much more. Customers may login to view their order history, get shipment tracking information, and see past invoices. With this new store, FSIP continues to expand and improve the services they offer to their valued customers.